“Due to the significant increase in international travellers in the first four months of 2013, it is anticipated that this trend will continue over the next few years. As previous years’ data shows, summer is the peak time for travellers’ entrance to the country. 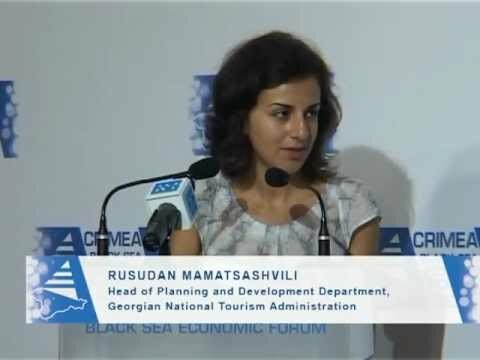 Therefore, we predict that in 2013 Georgia will host more than 5 million international travellers,” said Mamatsashvili. Last year 1,500,000 tourists visited Adjarian resorts. Out of this number 850,000 were foreigners. “We expect that the total number of travellers in Adjara will reach 1,550,000 and the number of foreigners will exceed 870,000,” she added. This year many entertaining events will be held in Georgia similar to those held last year. The Borjomi Rafting Championship will be held on 15-16 June for amateur sports enthusiasts. On 21-23 June a cultural-sports event will take place for disabled people. On 29 June theatrical performances will be held in Akhaltsikhe and on 6 July a Georgian dance festival will be held in Kutaisi. The Gudauri cycling marathon will start on 13 July and on 27 July the watermelon festival will be held in Sighnaghi. The most popular destinations for foreign visitors in Georgia are: Tbilisi - with 45%, and Batumi, with a slightly lower percentage - 40%. Other cities have fewer visitors. The share is as follows: Marneuli - 8%, Rustavi - 7%, Kobuleti - 5%, Mtskheta - 4%, and Kutaisi - also 4%. Other places have less than 4%. It is interesting that among those who visit Georgia for recreation, entertainment and leisure the top destination is Batumi with 65% and only one third (36%) visit Tbilisi. Kobuleti is visited by just 9% of foreign visitors. According to Mamatsashvili, total expenditure of international visitors amounted to GEL 1,411 million last year. This year’s figures are currently in the process of being calculated. Food and beverage - with 28%, and accommodation - with 21%, make up the largest share of foreign visitors’ expenditures. “The majority of foreign visitors - 86%, are from neighbouring countries: Turkey, Azerbaijan, Armenia and Russia. This tendency has lasted for a long time and we do not expect any significant changes in this regard,” Mamatsashvili said.